SCORE: 0-1, MIN. 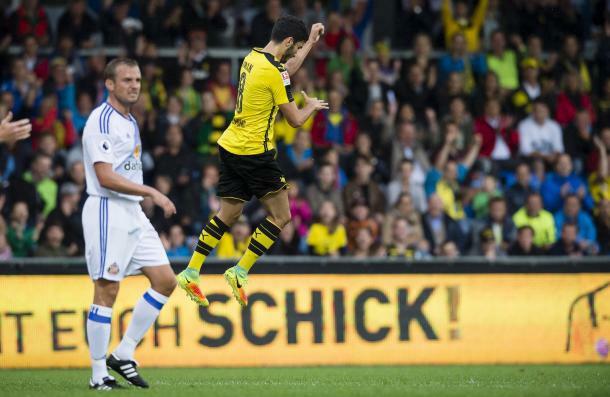 17, SAHIN, 1-1. MIN. 65, KONE. REFEREE: BOOKED: KHAZRI (MIN. 39), CATTERMOLE (MIN. 80). 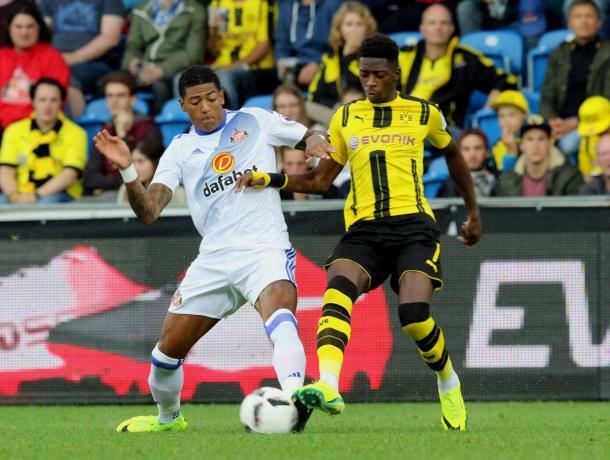 Sunderland AFC finished off their pre-season in some style, securing a 1-1 draw with German giants Borussia Dortmund. It was all Dortmund in the first 45 minutes, with opportunities from Ousmane Dembele, Sebastian Rode, Whabi Khazri and Shinji Kagawa all having chances, but the goal from Nuri Şahin in the 17th minute proved the difference. 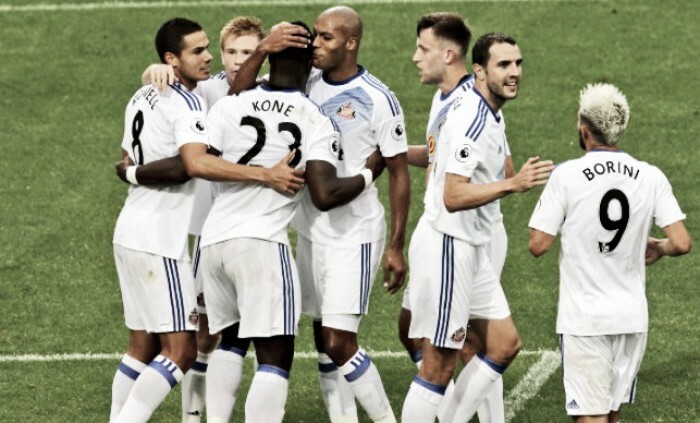 The Black Cats did improve in the second period with Duncan Watmore and Şahin coming close before Lamine Kone's equaliser secured a significant stalemate at the Cashpoint Arena. David Moyes' side had looked decent so far, remaining unbeaten throughout the pre-season period. However they faced a tough test in taking on Thomas Tuchel's side, and their superiority was clear in the first period. Dembele showed his talents in the victory over Manchester United, and proved a danger once again as he flashes a ball across the face of goal, but nobody was there to turn it home. Rode then tried his luck just seconds later, picking the ball up just outside the area, but his attempt was just wide of the post. It was Dortmund who were having all the chances, and it wasn't long until they found themselves in the lead. A ball in looked to be well cleared by Jack Rodwell, but it fell to Şahin on the edge of the box, and the former Liverpool man made no mistake with the half-volley past Vito Mannone. Khazri looked for the instant reply, but his effort was saved by Roman Burki, Şahin looked for his second immediately after that but Mannone collected well. Kagawa had the last real opportunity of the first period just before the half-hour mark, but the former Manchester United man's effort was well collected by the Italian shot stopper. Moyes' side came out for the second period at the Cashpoint Arena looking a lot more positive, and had a great opportunity just after the restart. Watmore was put through on goal in the 47th minute, and looked to have got around Roman Weidenfeller before hitting the deck, but despite appeals, the referee failed to be convinced. Sahin had another opportunity on goal just before the hour mark, Tuchel made a number of significant changes bringing on the likes of Mario Gotze. It proved a significant as the Turk was teed up on the edge of the box, but his effort curled past Jordan Pickford's post. The Black Cats didn't really have any significant chances going into he final 25 minutes, but still managed to find a equaliser. 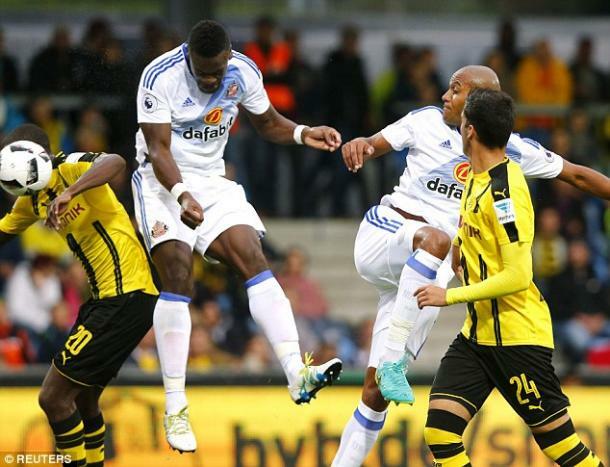 Jermain Lens produced a excellent free-kick towards the back post, Kone rose highest and his header into the ground proved too much for Weidenfeller. They almost added a second almost instantly, another dangerous set piece found the head of Rodwell but his header just skimmed the roof of the net.